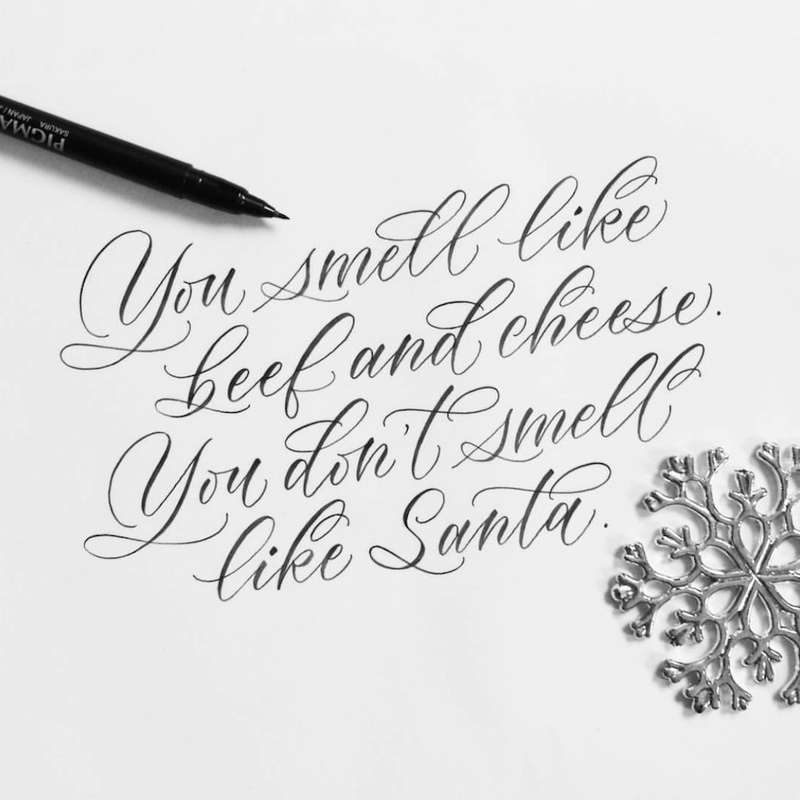 Rachel is mainly a copperplate calligrapher with this gorgeous immediately-recognisable style that you spot all across the internet. I personally look at her modern-yet-still-copperplate style a lot when practicing on my own, specially her flowy flourishes. Sachin does mainly blackletters, though he also has a wonderful brush style. 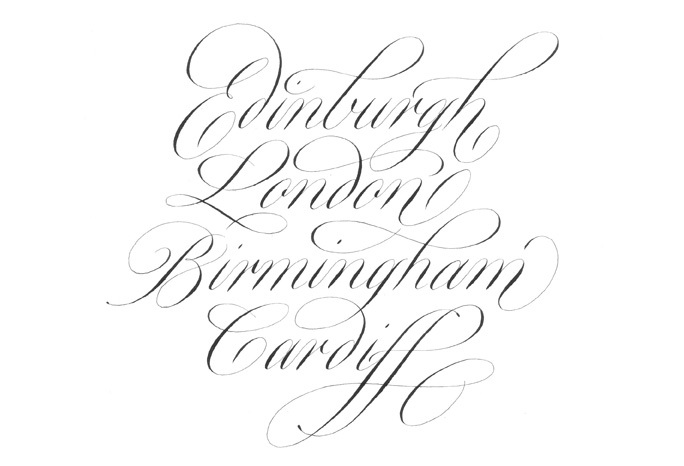 But his process videos of colourful, precise, gothic letters are the most addictive. 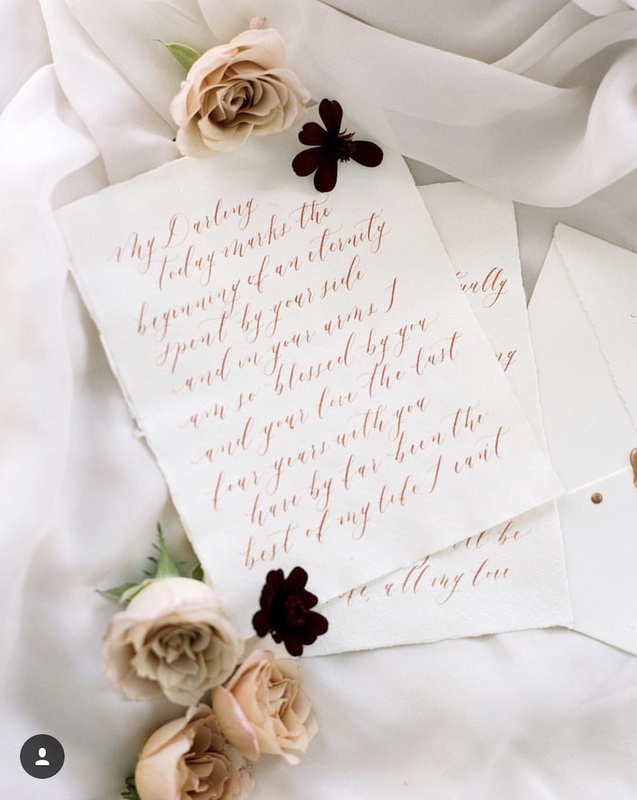 Suzanne posts beautiful, delicate copperplate calligraphy done for weddings and artworks. Her traditional style is quite beautiful. Melinda mainly posts colourful brush and ink lettering. Look at the delightful shadows and highlights on this one! Albi has a very modern, typographic lettering style. I love the effortlessness of his casual scripts. Erica has a unique personal style of brush lettering that I really love. 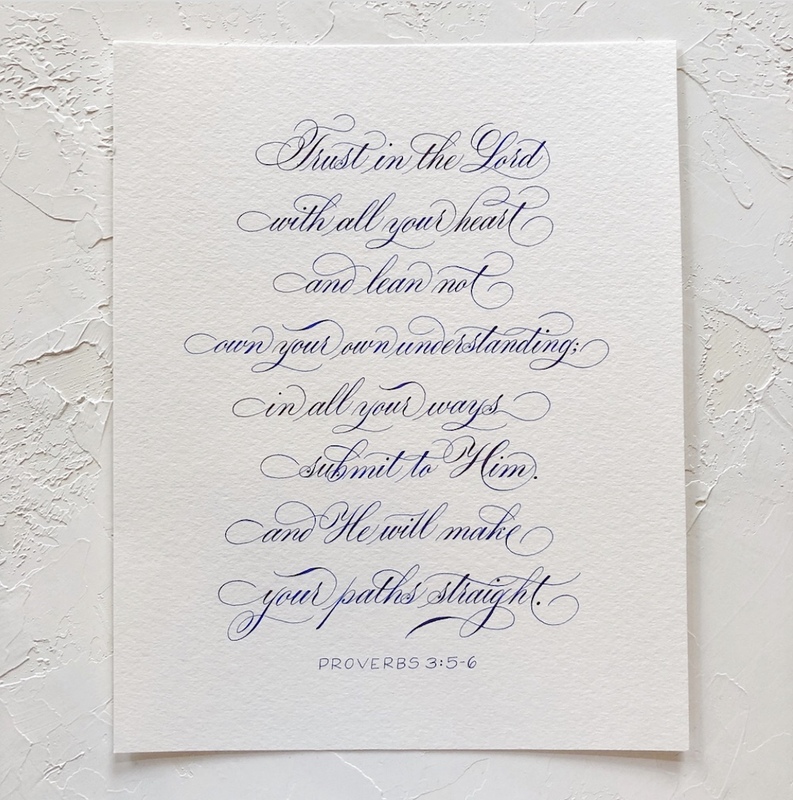 Her calligraphy is less about the colours or the fanfare or even fancy tools (she posts a lot of plain, pencil calligraphy); it's more about the perfect, subtle curves and precisely drawn letterforms that still look casual from far. 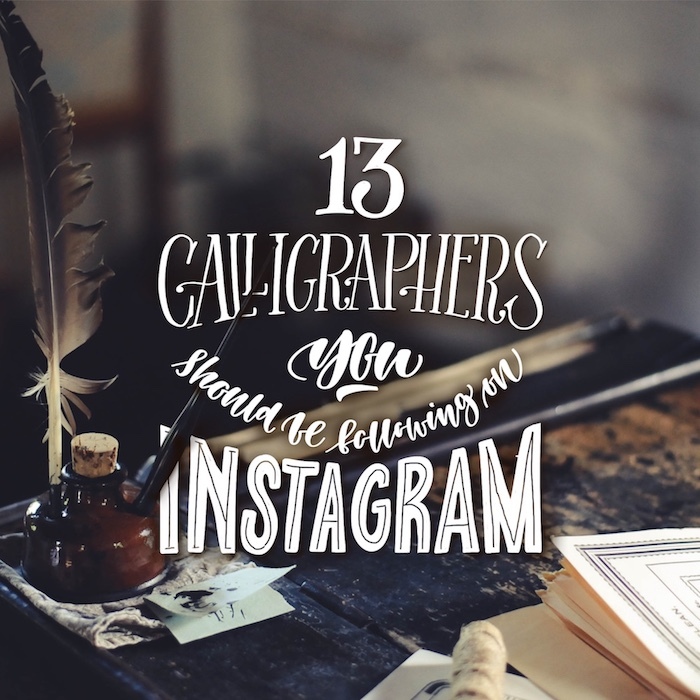 Lindsey is mostly known for her expansive calligraphy blog that I have learned a lot of my lessons from. 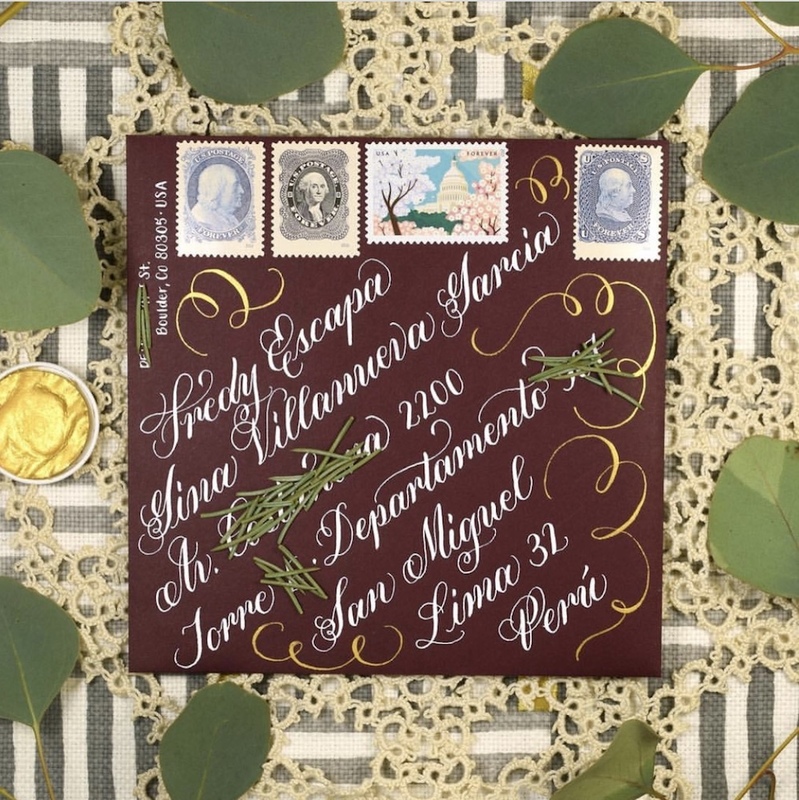 But she also posts a lot of snailmail envelope calligraphy on Instagram in different styles of pointed-pen modern calligraphy. 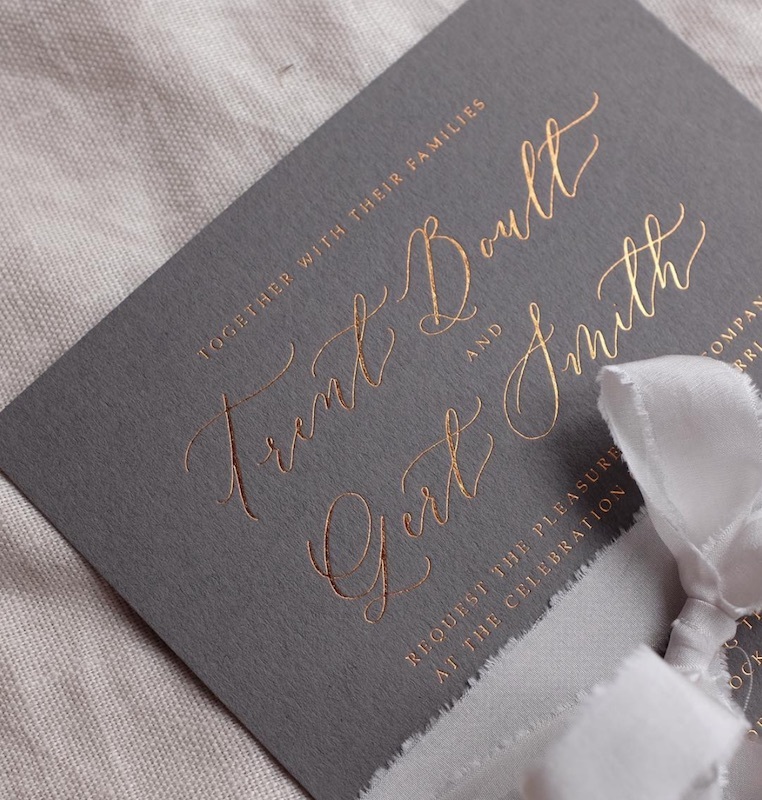 Mcbride is all about dainty wedding calligraphy. Her style is fairly modern but maintains the traditional wedding vibe. 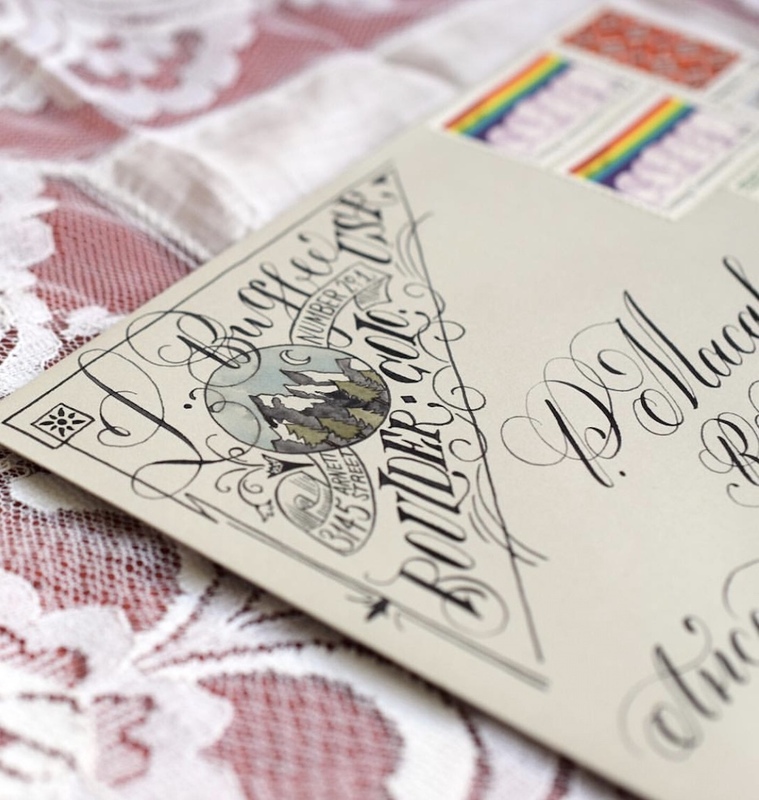 Novia Jonatan in a calligrapher with a gorgeous unique style of lettering and typography that you will find a lot across the internet. The high contrast in her strokes and precise letterforms give her work a sharp quality that I love. 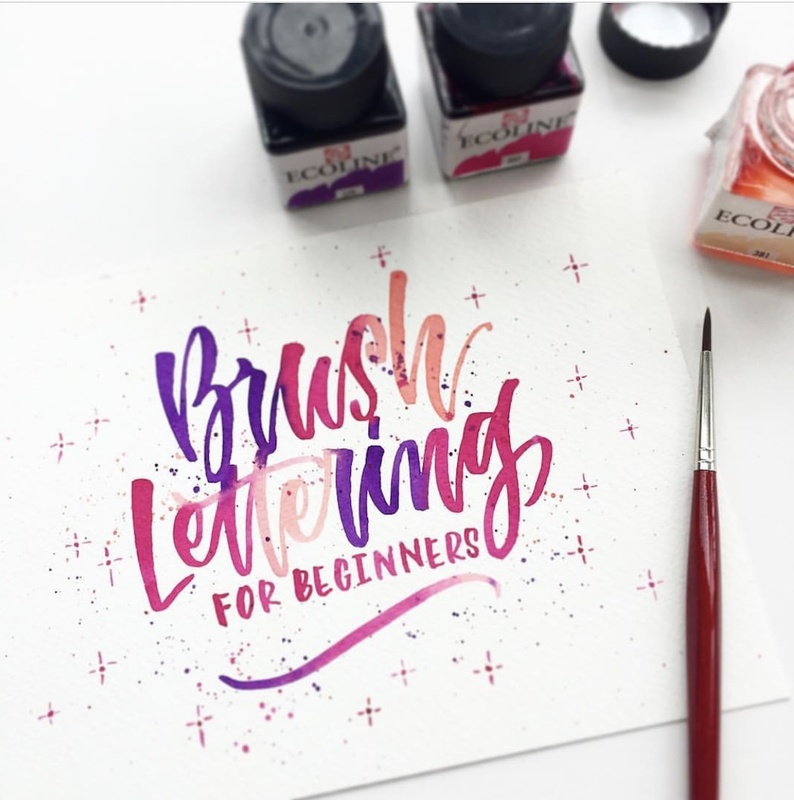 This calligrapher does wonderful brush lettering that is bursting with colours. A wedding calligrapher with a traditional style. I specially love her large artworks. 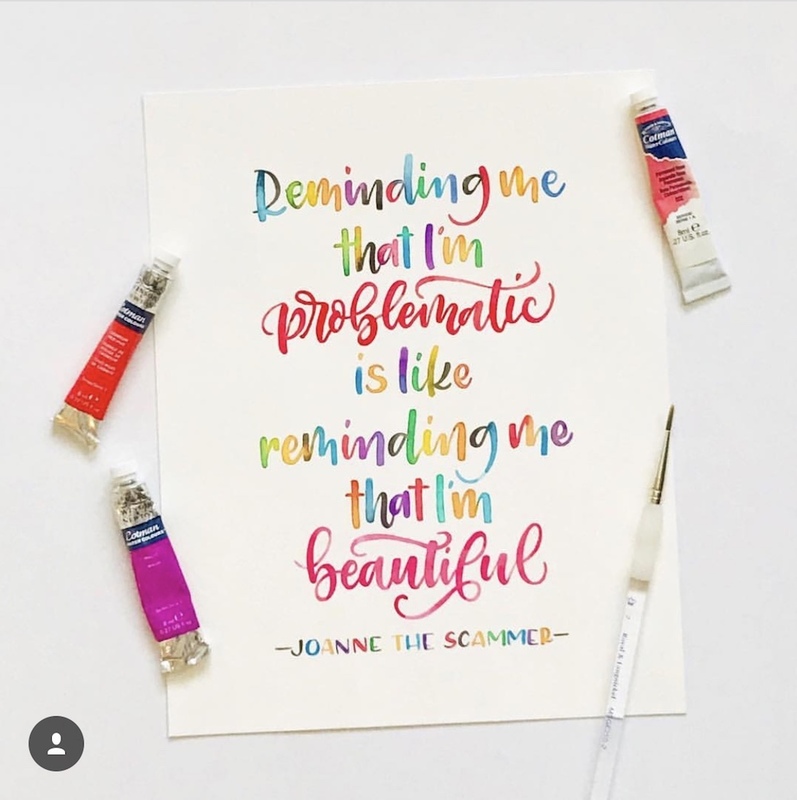 This Singaporean calligrapher produces colourful watercolour lettering. Look at the beautiful gradients in her work! 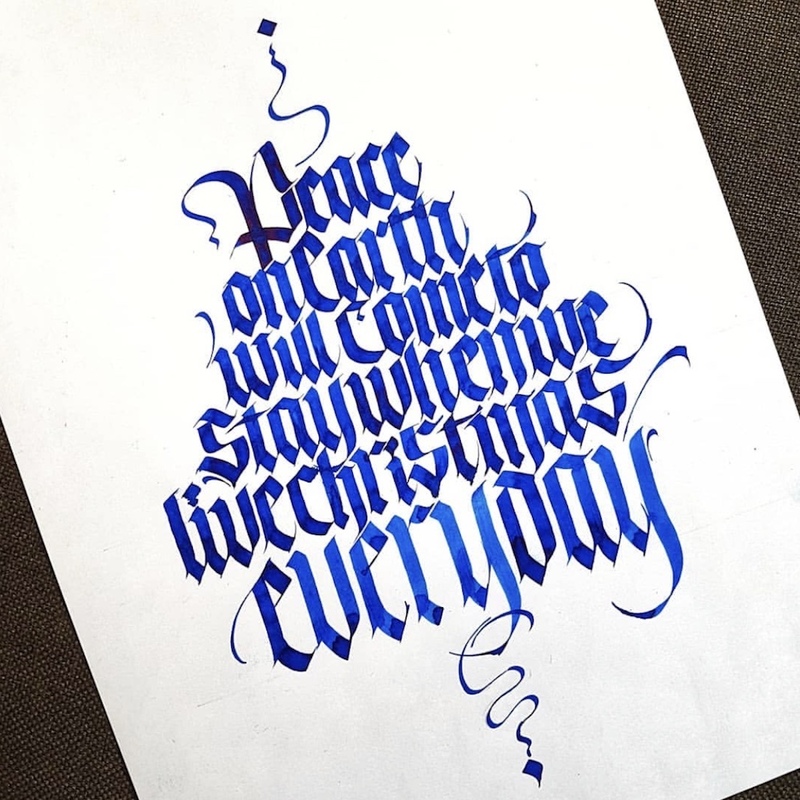 From Indonesia, Connie's calligraphy has a fragile, crisp quality. 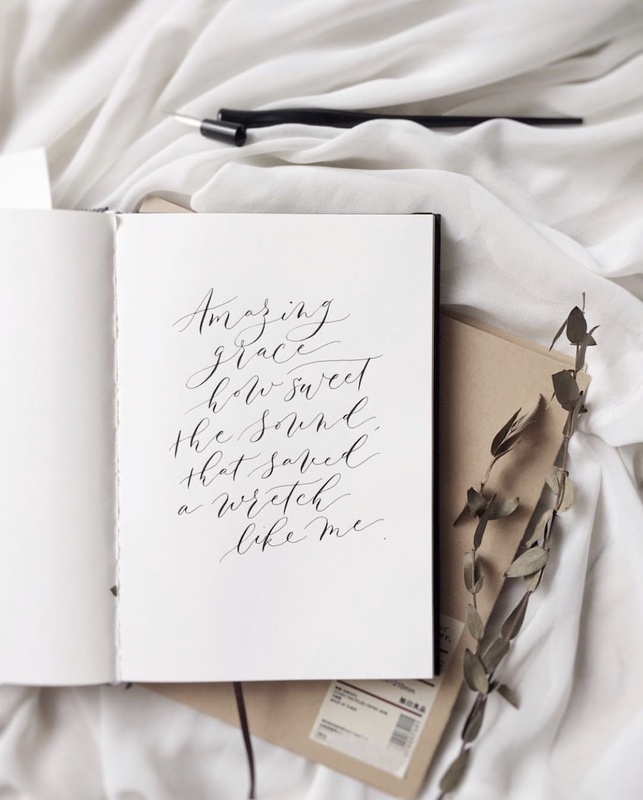 She posts a lot of very casual, modern calligraphy as well as traditional work for weddings. That's it folks! Hope you find some wonderful inspiration here for your own work! And don't forget to follow me on Insta, while you're at it.